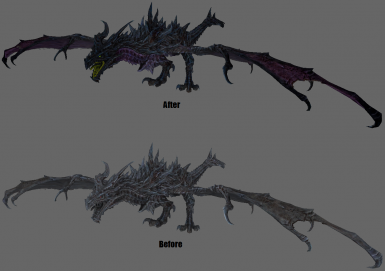 A simple retexture of Alduin to make him resemble the villainess from Disney\'s Sleeping Beauty. 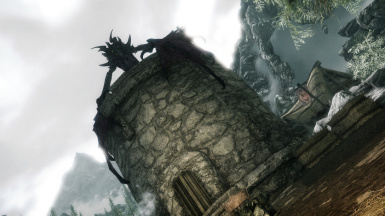 I've been unhappy with Alduin's vanilla appearance pretty much since the game launched, but I have yet to find a retexture that I've been entirely satisfied with. Finally, I decided to take a crack at it myself, basing it off of another famous dragon in popular culture who I felt Alduin somewhat resembled (I think it was the horns). 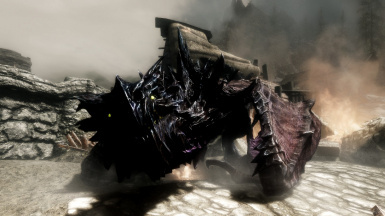 This is a pretty simple recolor, but I feel like it makes him a lot more interesting looking, while still (hopefully) fitting in with Skyrim's aesthetic. To install, extract the archive to your Skyim/Data folder and allow it to overwrite any files that it might conflict with. 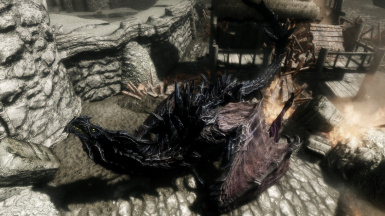 It's highly recommended that you pair this mod with Dragon Fire Recolor (http://skyrim.nexusmods.com/mods/3441) to give him the green flame breath as well.